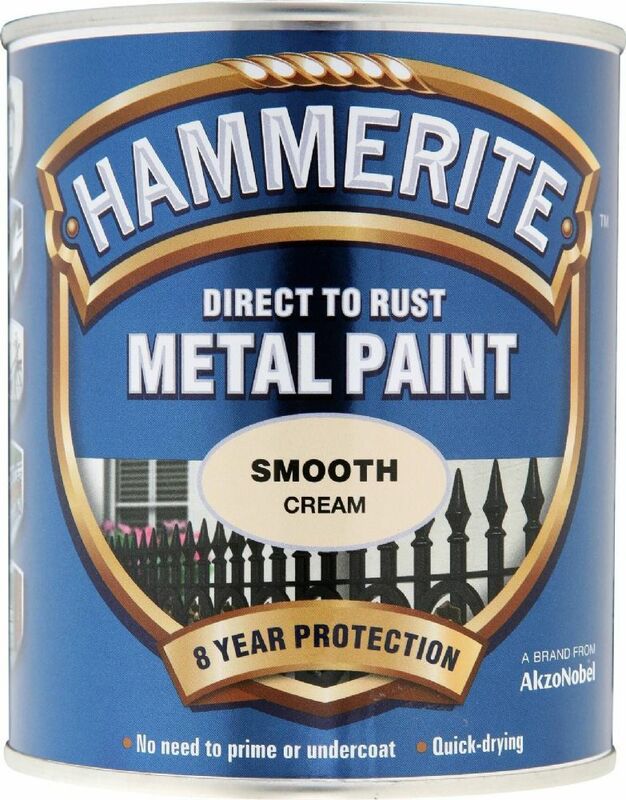 Customer review: "Very pleased with quality of the product." 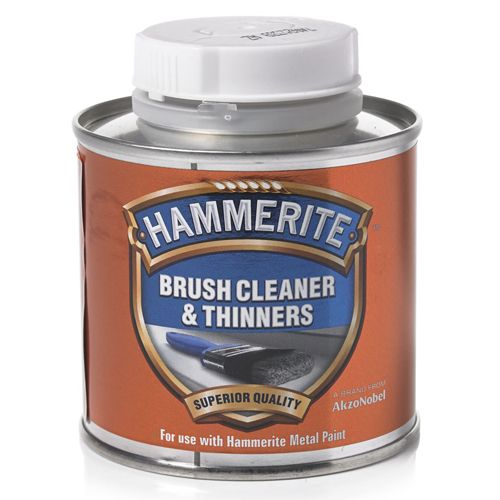 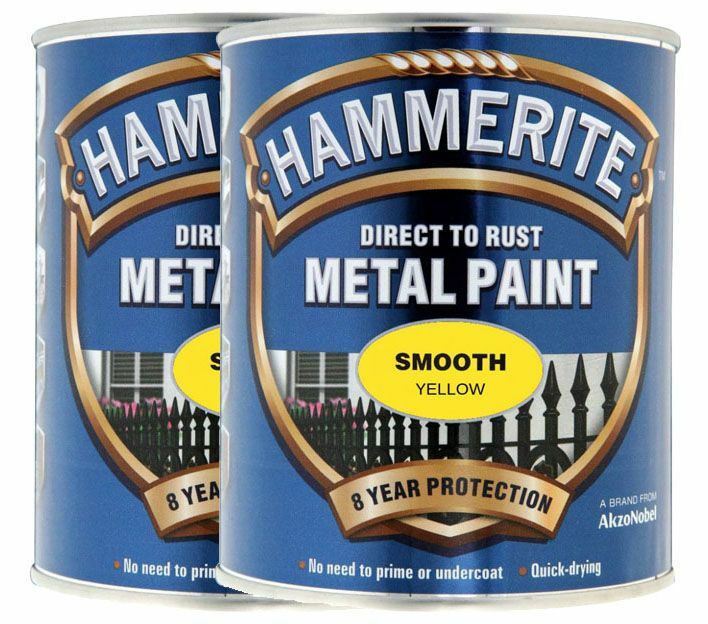 Hammerite Direct To Rust Metal Paint Smooth Finish is a corrosion resistant decorative coating for ferrous and non-ferrous metals, certain plastics and wood. 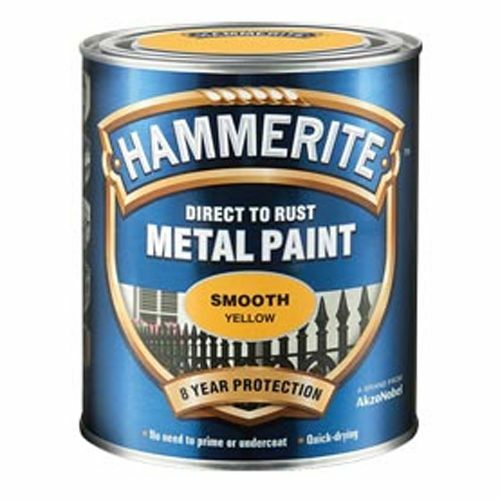 It offers a gloss finish which sheds water well, will retain its sheen for years and is perfect for metal doors, garden furniture, gates and railings. 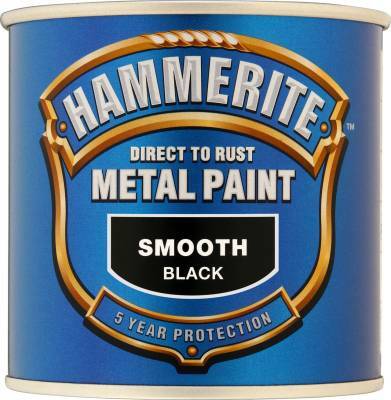 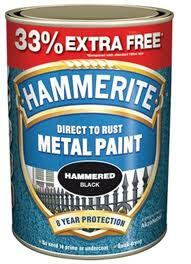 Hammerite Smooth Finish comes in standard colours or custom mixed colours, in various tin sizes or in aerosol form. 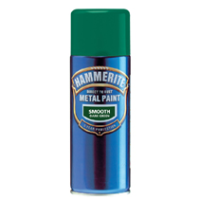 See related products for satin or hammered finish.